Internships Abroad: How to achieve success working outside of the U.S. In this podcast, we shed light on how to be a successful intern in Latin America. 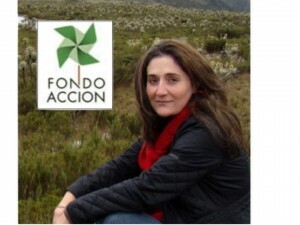 Luisa Lema, the Public Policy Coordinator for the Colombian NGO Fondo Acción, answers the important questions that each MIIS student looking to work and live abroad wants to know. From resumes to housing, we cover all the essential information and Luisa’s candid responses really provide listeners with valuable information that is applicable to working in Latin America and other parts of the world! So get your listen on and provide us with your feedback. Thank you to the CACS office for assisting with this podcast.